To find a clear Biblical expression of feminism in action, one only needs to read the book of Numbers. The 27th chapter details a story about the daughters of Zelophehad. These daughters were five sisters who challenged societal rules regarding inheritance rights. At the time, women were banned from inheriting property solely because of their gender. 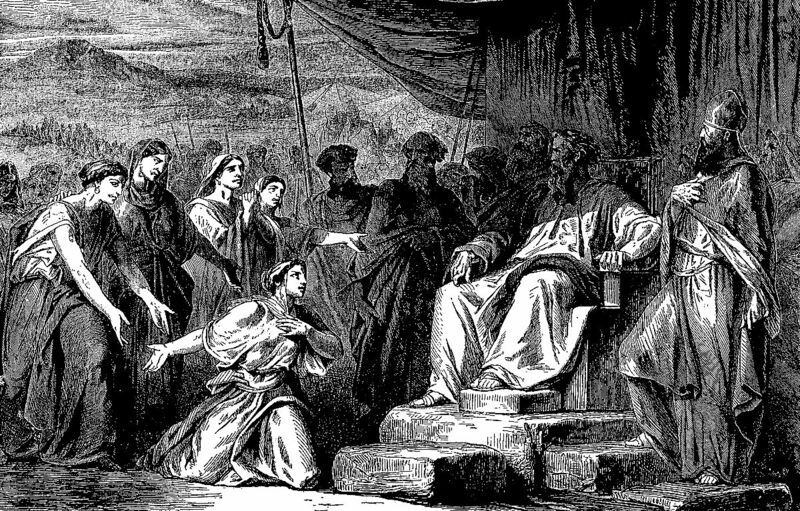 The daughters went to Moses to challenge the law. When Moses went to God to reaffirm inheritance rights, God sided with the daughters and granted them property. The account beautifully demonstrates how God views the treatment of women in our society but also provides several primary lessons worth extracting. The first lesson is that we cannot allow cultural and societal norms to dictate how we treat women. We have to look at scripture to determine how women should be treated. Too many churches allow the sexism that permeates our culture to dictate their treatment of women. Women are often relegated to service-oriented roles that conform to cultural and gender norms. Unfortunately, this is far more cultural than Biblical. We see women in leadership roles in multiple Biblical accounts, yet male leadership in churches is often seen as the only acceptable norm despite Biblical evidence to the contrary. Another lesson embedded in the daughters of Zelophehad is the power of numbers and a support system. They worked as a cohesive group. Modern feminist movements that are divided along socio-economic or racial lines rarely achieve their objectives. Unlike these movements, the daughters of Zelophehad embraced solidarity, and their unity bore fruit. These women understood the boundaries surrounding the patriarchal society in which they lived. They figured out how to successfully maneuver within those boundaries. They went to Moses with a sound theological argument. The core of their case to Moses was that their father’s name would cease to exist. By leveraging their father’s name, they acknowledged the male dominance of the culture and worked within the parameters of patriarchy to transcend sexist boundaries. The daughters also teach the power of asking. It sounds simplistic, but you can’t receive without asking. Their willingness to ask opened the doorway for future generations. The daughters are a reminder that one question can change an entire family lineage. The biblical narrative shows that it only takes one godly man willing to challenge the status quo. Moses was willing to put his reputation on the line by challenging the law. However, Moses would not have been able to do this if he had not been such a humble person. Numbers 12:3 says that Moses was the most humble man on earth. Sexism thrives on pride. Pride elevates and creates an unnatural zeal to maintain a hierarchy, even if it requires marginalizing others. It takes humility for men to be willing to challenge ingrained gender inequities that keep women from fulfilling their destiny. The daughters of Zelophehad trusted that God was merciful and valued them. They believed that He was a God of justice, and they were right. God saw no contradiction between their request and their gender. It seems that God confirms the radical notion that women are human beings.